Marianna Perianova, aka Yagama, studied Painting and Cultural Anthropology at Hunter College, New York. In 2007 she started her moving image career as a live video artist, moving on to work as a set designer for film and theatre and audiovisual performance director. As founder and artistic leader of Uga Buga Art Collective with a strong interest in mythology and psychology, she has designed and executed various festival and event scenography projects, installations and shows. Yagama has been active as a VJ/live video performer since 2007, collaborating with numerous world renowned musicians. She directed and animated several music videos and an award winning interactive theatre performance. Yagama works in tandem with sister Ilina Perianova, as production and costume designer, editor, co-script writer, and has helped produce "Eat Me!" and "Snegurochka" shorts. 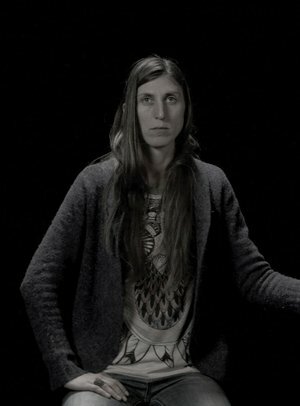 She is also a successful visual artist and resides between Berlin and Sofia. Ilina Perianova is an award winning director, producer and screenwriter born in Sofia, Bulgaria. Coming from a multicultural family, she has been exposed to a variety of art and cinema traditions since childhood. In 2016 she graduated from the MA program in “Fiction Film Directing” in the Baltic Film and Media School in Talllinn, Estonia. In 2010 she received a BA in acting and directing from the New Bulgarian University in Sofia. Previously, her love of stage arts had taken her to France where she studied theatre acting / Acting International/ for two years. Ilina is the director of the short musical film “Eat me!" and the fairy tale short film “ Snowgirl” , which have travelled to many international festivals and received huge recognition. Ilina speaks fluent English, Russian, French, Bulgarian and is currently studying Italian. She lives and works between Bulgaria and Italy. Anna Dmitrieva graduated Film Directing in VGIK – Moscow followed by a Producing Foundation Course in London Film Academy. Since then she has filmed short films and has worked as second and first assistant director in different fiction and documentary films. Her passion for documentary has driven her to different travels around the world. "It's all about the journey through life and my companion is Art"